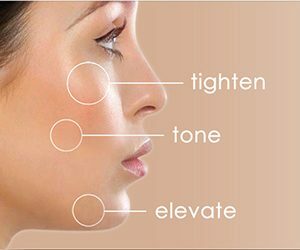 Sublime skin tightening treatment is a non-invasive, wrinkle reduction procedure used to tighten areas with mild skin laxity. Sublime employs bipolar radiofrequency and infrared technology to heat the dermis and stimulate collagen production, which results in a more refreshed and youthful appearance. Areas typically treated include the neck, jawline, cheeks, or upper face. Sublime is safe to use on all skin types and can be used in conjunction with other rejuvenated skin care procedures.